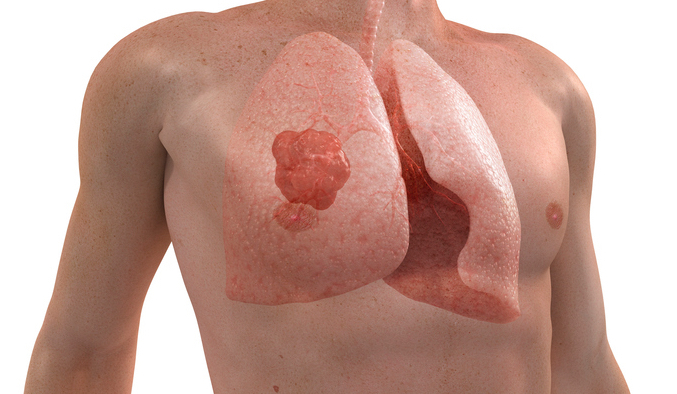 Lung cancer is the leading cause of cancer death in the US, with a 5- year survival rate of only 19%. Researchers at The University of Texas MD Anderson Cancer Center hope to dramatically improve these statistics with a novel combination therapy, targeting a newly discovered Achilles heel of aggressive and drug resistant cancers. Their study, published today in Science Translational Medicine, reveals how lung cancers with KRAS mutations bypass targeted treatments, and how to thwart their evasion strategy with new drugs. KRAS mutations contribute to 30% of all human cancers, and are most common in pancreatic (70-90%), colon (30-50%) and lung (20-30%) cancers. Yet despite its prevalence as a driver of cancer growth, little progress has been made towards treating KRAS mutated cancers. Instead, new targeted treatments like MEK inhibitors are rendered powerless against these particularly aggressive malignancies. “MEK inhibitors have been tried in multiple clinical settings, including lung cancer, and the results have not been good,” explains lead author Don Gibbons, M.D., Ph.D., associate professor of Thoracic/Head & Neck Medical Oncology. “They haven’t consistently worked for patients with KRAS mutations and it was unclear why.” Researchers are particularly puzzled by this because KRAS is known to act through the MEK pathway, and therefore, these cancers should in theory be susceptible to MEK inhibitors. Searching for mechanisms behind this peculiar resistance, Gibbons and his team profile molecular signaling pathways in lung cancer mouse models, cell lines and human patient tumors. They discover that treatment resistance is dependent on another signaling molecule called ZEB1 (Zinc finger E-box binding homeobox 1). Indeed, ZEB1 is also a key factor in breast cancer metastasis and treatment resistance, as reported by previous studies. Gibbons finds that MEK inhibitors have no impact in tumor cells where ZEB1 has already shut down the MEK pathway, by suppressing a downstream mediator. ZEB1 also promotes the transition of epithelial cells into mesenchymal cells, a critical step in tumor progression. In adult tissues, epithelial cells perform specialized functions in precise locations, with limited replication capacity. When these cells revert to mesenchymal state, an embryonic form, they relinquish their designated function, reproduce uncontrollably and spread throughout the body. “Mesenchymal cells have a very high migratory and invasive capability because of their normal function during embryogenesis,” says Gibbons. “Epithelial to mesenchymal transition (EMT), is known to become activated during the development and progression of tumors.” These misbehaving mesenchymal cells are notoriously aggressive, metastatic and resistant to treatment. “Mesenchymal cells are not sensitive to MEK inhibitors even when they have mutant KRAS,” he says. While ZEB1 may orchestrate treatment resistance, it may also serve as the Achilles heel of these aggressive malignancies. Gibbons and colleagues take aim at ZEB1 with a drug called mocetinostat, a histone deacetylase inhibitor previously shown to revert troublesome mesenchymal cells back to well-behaving epithelial cells. Strikingly, the hit a bull’s-eye. “Suppression of ZEB1 function with …mocetinostat sensitized resistant cancer cells to MEK inhibition and markedly reduced in vivo tumor growth, (in mice),” says Gibbon. “This shows a promising combinatorial treatment strategy for KRAS mutant cancers.” This novel combination approach will be tested in upcoming clinical trials for patients with lung cancer at MD Anderson. In addition, their discovery could provide important diagnostic markers to better guide treatment decisions. Testing patients for ZEB1 may identify those likely to respond to MEK inhibitors alone, versus those requiring combination therapy to chemosensitize their tumor cells. These advances in precision medicine could ultimately transform survival rates for not only lung cancers, but also pancreatic, colorectal and other cancers with high prevalence of KRAS mutations.